How Is Kotak Mahindra Mutual Fund Yielding High Profits? 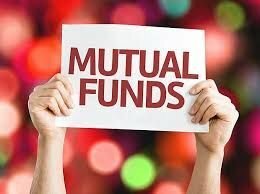 There are many attributes due to which a mutual fund company becomes fruitful and prosperous. It greatly depends upon the way it works, boasts its plans to make the best in investments, and adds good returns to investors’ portfolio. And, in this process, the fund management team of Kotak Mahindra Mutual Fund has justified itself over all these years. With the increase in global trade and finance, Kotak Mahindra MF has come here following various strategies and grew in a way that it has 7.5 lakh investors currently. Setup in the year 1998, the current AUM of the fund house is Rs. 124690.95 cr, as on March 30, 2018. After being in the market for 20 years, the Kotak MF has always endeavored to provide the best of products in the industry. Creating customer satisfaction and consistently beating the benchmarks, the financial services of the fund house have encompasses every sphere in a short tenure. 1. Market-timing: The fund managers of Kotak mutual funds always keep a sharp eye on the market and where it is heading. The fund management team at the fund house makes investment plans accordingly to overcome sudden risks. They buy the securities at a low price and sell at high to provide the best returns to investors. 2. Buy and Hold: The fund managers buy the securities in the bearish market and hold for a long-term to provide higher returns to investors. The strategy employs more returns than the one of buying and selling. This helps them to manage portfolios more efficiently. 3. Fixed structure: They do not go for “just wing-it strategy”. They invest in the stocks by following a proper strategy and planning. This is done so that the investors do not have to face the downfall. The fund managers of Kotak Mahindra mutual funds are the ones who grow and blossom the portfolios of investors. They know all techniques which can make them successful in the market by adopting the top-down and bottom-up approach. All the above-listed strategies for picking-up stocks from the market are a bid to maximize returns. The fund managers analyze how the company is doing in different economic and political conditions. 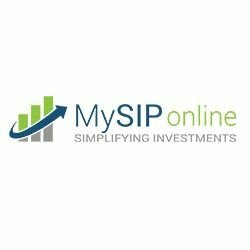 The financial experts at MySIPonline have a philosophy that “Think of the investment objective as what the fund is trying to accomplish and the investment strategy as for how the fund plans to get there.” For a personalized recommendation, you can directly connect with us via phone call or email.